This week TWLB will be posting some nice lists all about the Beastie Boys, simply because they are great and make us very happy indeed, and have been doing this amazing trick for years. 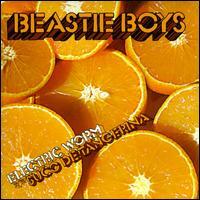 So, this week you get the top 5 Beastie Boys singles, the Top 4 Beastie Boys albums and the Top 3 Beastie Boys EP’s. Might even do something about the videos or the Grand Royal magazine. Anyway, today, its the………. Number 5 – ‘The Electric Worm’. A slinky cocktail lounge affair – ostensibly a reboot of what they were doing in the Nineties with the likes of ‘Sabrosa’, off ‘Ill Communication’ – this sublime instrumental is a fine way to introduce the joys of its parent album, ‘The Mix-Up’. 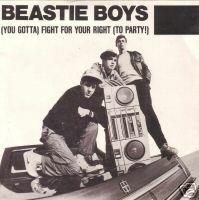 Number 4 – ‘(You Gotta) Fight For Your Right (To Party)’. 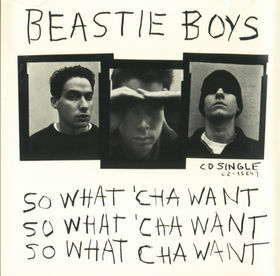 A genius use of brackets heralds the breakthrough hit for the Beastie Boys. Still incredibly exciting 20-plus years on, this single is the originator of rock and rap, and miles ahead of the likes of Kid Rock forever. Amen. They needed something special to get the attention after the 3 year break since anything was released from ‘Ill Communication’. 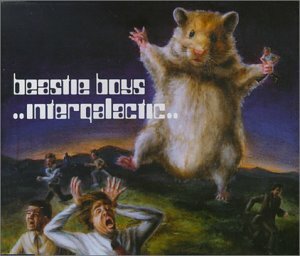 With ‘Intergalactic’, a boisterous old-school romp, complete with amazing video, they delivered. Number 2 – ‘So What’cha Want’.